Our company was founded in 2007 to pursue our team’s combined interests. Our focus has always been on pushing the boundaries of design, automation, and working with robotics, both industrial and educational. Since the start, we’ve built products that complement our fields of interest and offered our engineering services in areas of our expertise. 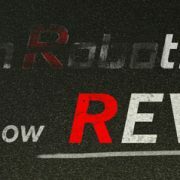 In 2015, we’re rebranding ourselves as Revotics along with a brand new site, and dedicating it as a resource to the community where we can share our vision, our activities, and continued development of awesome new products.